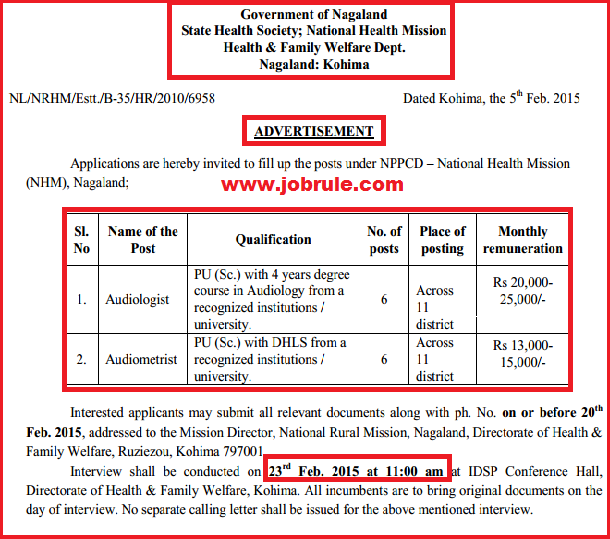 State Health Society, National Health Mission, Health & Family Welfare Department, Kohima, Nagaland State invites application from interested persons for recruitment to the post Audiologist & Audiometrist under NPPCD project ,NHM Nagaland. 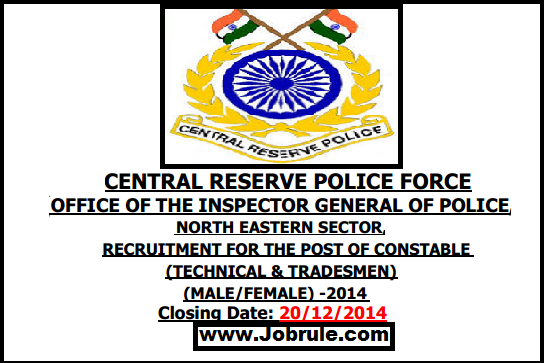 Check post wise qualification requirement ,Place of posting and monthly remuneration details on above picture file. Interested applicants may submit all relevant documents along with phone contact number on or before 20/2/2015 addressed to the Mission Director, National Rural Health Mission, Nagaland, Directorate of Health & Family Welfare, Ruzeizou, Kohima 797001. Interview shall be conducted on 23/2/2015 at 11.00 a.m at IDSP Conference Hall, Directorate of Health & Family Welfare, Kohima. All incumbents are to bring original documents on the day of interview. 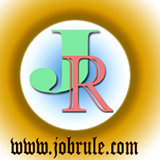 No separate call letter/admit card shall be issued for the Job Interview. 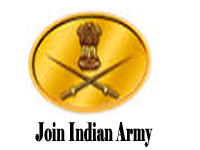 Army Recruiting Offices (ARO- Silchar, Narangi & RO Shollong) going to conduct Army Open Recruitment Rally in the month of July/August 2014 for Direct recruitment to the post of Army Soldier General Duty (GD), Soldier Technical, Soldier Tradesman (Sol Tdn), Soldier Clerk/store keeper (sol clk/skt) , Army Nursing Assistant (NA) etc. 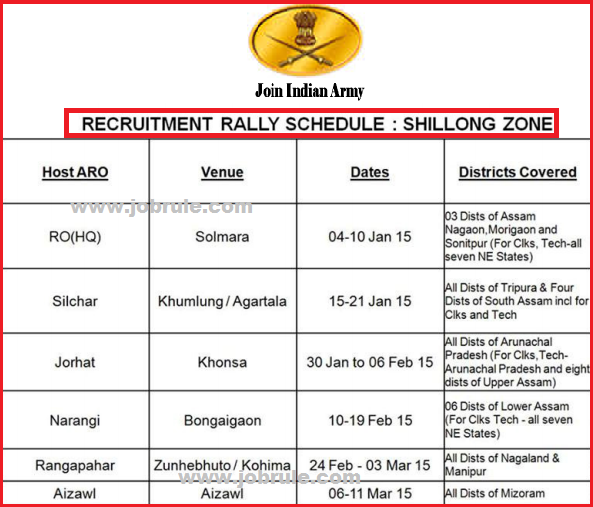 Army Rally Assam, Army Rally Meghalaya, Army Rally Manipur, Army Rally Nagaland, Army Rally Arunachal Pradesh ,Army Open Rally Tripura in the month of July/August 2014. Next Army Rally in North East States December 2014 to March 2015. 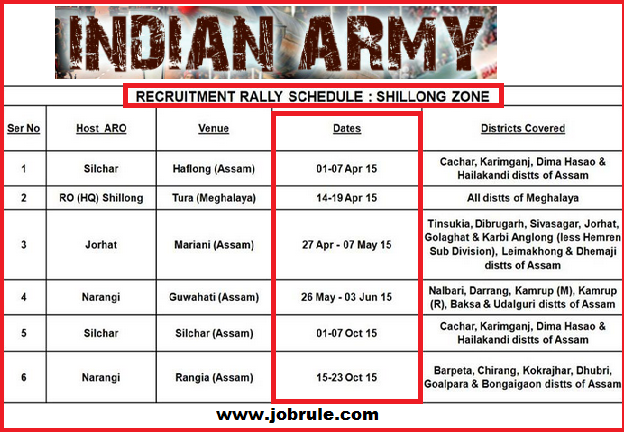 To Get Contact No ARO Wise and more details, rally venue, exact time read meghalaya times. Click below link. MEGHALAYA Districts of East Khasi Hills, West Khasi Hills, Jaintia Hills, Ri Bhoi, East GARO Hills, South GARO Hills and West GARO Hills. ASSAM Morigaon, Nagaon and Sonitpur. ARUNACHAL PRADESH Districts of West and East Siang, Dibang, Valley, Lohit, Tirap, Changland, Lower Subansiri, Upper Subansiri, Tawang, East Kameng, West Kameng, Upper Siang, Kurung Kamang, Papumpare, Anjan Hawai and Lower Dibang Valley. ASSAM. Jorhat, Tinsukia, Sibsagar, Dhemaji, North Lakhimpur, Dibrugarh, Golaghat and Karbi Anglong. ASSAM Districts of Barpeta, Goalpara, Darrang, Kamrup, Nalbari, Kokrajhar, Dhubri, Bongaigaon, Baksa, Udalguri and Chirang. NAGALAND. Districts of Kohima, Phek, Mon, Zunheboto, Wokha, Mokouchung, Tuensang, Dimapur, Pern, Kephere and Longleng. ASSAM. Districts of Cachar, North Cachar Hills, Karimganj and Hailakandi. TRIPURA. West Tripura, North Tripura, South Tripura and Dhalai. MIZORAM. Districts of Aizawl, Lunglei, Mamit, Chhimtuipui, Lawngtalai, Champai, Serchhip and Kolasib. ii) candidates with higher qualification need not have 45% in matric. each subject including E and M/Book Keeping/Accounting.